If you’re fed up with AT&T, Sprint, T-Mobile and Verizon Wireless, there are plenty of smaller carriers to choose from. We look at some alternatives that can save money. Forget everything you thought you knew about buying mobile phone service. Remember the days of the subsidized phone wrapped inside the pricey two-year carrier contract? That’s a distant, unpleasant and expensive memory. Right now, the smart -- and increasingly common -- move is to buy an unlocked phone outright, then shop it to the carrier that offers you the best bang for the buck. That carrier doesn’t have to be AT&T, Sprint, T-Mobile or Verizon Wireless. Although the Big Four have expanded their offerings and, to varying degrees, lowered their prices, the real deals still come from the smaller guys -- otherwise known as mobile virtual network operators (MVNOs). A few of them are actually owned by the Big Four (we hereby dub them the Little Four), while others merely repackage and rebrand their services. Whatever the arrangement, you can almost always score better pricing by opting for one of these other carriers. How much better? That depends on a variety of factors. Are you bringing your current phone or buying a new one? Are you shopping for a plan just for yourself, or do you need something for your whole family? How much data do you currently consume every month? (That’s a question every smartphone owner should be able to answer.) And which network typically delivers the best coverage in your area, both at home and at work? Apple, LG, Samsung and other phone makers may want you to buy a new model every year, but these days there are fewer reasons to do so. Once you’ve got a reasonably fast handset with a spacious screen and good camera, what’s left? That’s why we’re working from the assumption that you’re keeping your current phone, not shopping for a new one. However, you’ll want to make sure that phone is unlocked, otherwise you’ll have difficulty getting it to work with other carriers. If you bought your phone unlocked in the first place, you’re all set. But if you bought it from one of the Big Four carriers (or Boost or Virgin Mobile), you may need to obtain an unlock code. The process of doing so varies from one carrier to another, and depending on the age and make of the phone, may be easy or complicated. Some web searching (“how to unlock [your phone carrier/model]”) should yield the info you need, as will a call to your carrier’s customer-service department. You’ll also want to investigate your phone’s network compatibility. It may be limited to CDMA networks (used by Sprint, Verizon and their various MVNOs) or GSM networks (AT&T, T-Mobile and their MVNOs), or it may be compatible with both. That compatibility will help determine where you can shop for service. If you have a GSM-only Samsung Galaxy S5, for example, you can’t take it to Boost, CellNuvo or any other Sprint-based carrier. Once you’re armed with an unlocked phone, though, it’s a buyer’s market. And trying a new carrier is hardly a lifelong commitment. If you’re not satisfied after a month or two, it’s a simple matter to take your business elsewhere. 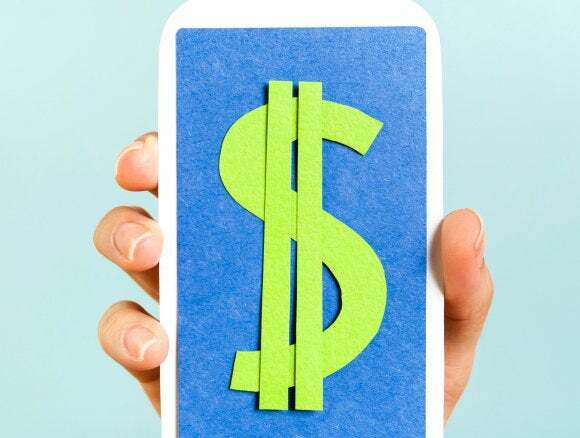 You’ll usually need a new SIM card, and there might be an activation fee involved, but that’s a far cry from paying a small fortune in early-termination fees. Now for the caveats. MVNOs don't always deliver the same features and coverage as their Big Four siblings, despite operating on the very same networks. Virgin Mobile, for example, lacks the nationwide roaming coverage afforded by Sprint, offering a mere 50 minutes per month of domestic voice minutes if you venture outside the coverage area. And don’t assume any carrier’s “unlimited” plan includes a mobile-hotspot option; some charge extra for that feature. Speaking of charges, be sure to check prices on SIM cards and service activation, and watch for hidden extras like a fee for porting your existing number. Then there's data. All the "starting at" prices listed in the carrier descriptions that follow include at least some data in their plans. However, as is the norm these days, virtually all the carriers will cap your throughput at a certain point, giving you X-amount of 4G speed and then dropping you back to a slower rate of throughput (usually something akin to 2.5G, but this isn't always specified). In other cases, your plan might include only, say, 1GB of data, after which you'd have to pay per-megabyte overage charges. How much data do you really need? That can be hard to judge. In 2013, a Nielsen study pegged average U.S. smartphone use at just 733MB per month. By the end of 2014, that number had skyrocketed to 2GB. And in the first quarter of 2015, it was up to 2.5GB, according to industry analyst Chetan Sharma. If you’re not sure how much data you typically consume, you can always start with one tier of service, then change it as needed. Nearly all MVNOs also let you pay a la carte for extra data (usually a gigabyte at a time) -- nice if you know you’re going to be consuming a lot on a one-time basis (for, say, a road trip) and don’t want to switch tiers. Ultimately, data will probably drive your decision: How much you get and at what cost. Although many of the MVNOs compete effectively at the lower end, offering 1GB to 3GB per month at rates well below the Big Four, you’re almost always going to end up paying around $50 to $60 per month for an unlimited high-speed data plan. If that’s something you need, make sure to crunch the numbers: A Big Four plan might cost about the same, while affording extra perks as well. Fortunately, with so many competitors in the phone-carrier business, you have options for just about every budget, need and preference. The MVNOs we’ve highlighted below represent a great cross-section of both newer and more established carriers, and those that stand out in one way or another. There are countless others that feel very “me-too,” and while they might be perfectly good mobile providers, they’re not exactly pushing the envelope. So check out the latest from the Little Four, then read on to learn how the even littler guys are shaking things up. What’s the deal with that? If a Big Four company wants to offer lower prices, why not just offer lower prices? It’s all about branding. AT&T, for example, positions itself as a premium carrier and charges accordingly. But it can still afford to cater to price-conscious customers, hence Cricket Wireless. These second-tier brands also allow the Big Four to experiment with pricing models and service offerings, perhaps with the goal of determining what might be viable for later adoption in the upper tier. If you’re bound and determined to avoid the Big Four, you might want to steer clear of their offspring as well. But you owe it to your wallet to at least investigate the Little Four’s service plans, many of which compare favorably with those of the independent carriers. Boost Mobile is one of the oldest and largest no-contract carriers, a Sprint-owned service that gives you a decent chunk of 4G LTE data (2GB) for $30 monthly. However, that price no longer includes the company’s long-touted “growth” benefit, which rewarded you with extra data after a stretch of on-time monthly payments. All of Boost’s plans do afford unlimited streaming from iHeartRadio, Napster, Pandora, Slacker Radio, Spotify and 8tracks. In other words, you can listen to any and all of those services all you want and it won’t count against your monthly data allotment. You can also add 1GB or 2GB of extra data per line for $5 or $10 per month, respectively, or score unlimited data at $50 per month. Boost’s family plans have the same pricing structure, though if you start with the Unlimited plan at $50 per month, each additional Unlimited line costs $30, not another $50. For a family of four, that would work out to $170. Following its merger with Aio Wireless in 2014, Cricket Wireless quickly established itself as a major MVNO player. Although the carrier’s entry-level plan isn’t particularly attractive, offering only 1GB of high-speed data for $30 monthly, things improve with the Basic plan: $40 per month ($35 when you set up auto-pay) for 4GB of data, up from 2.5GB last year. Add a second line and the rate drops $10. Add a third and it drops $20. And so on, up to five lines. Assuming you use auto-pay, you can get five lines, each on the Basic plan, for just $100 per month. If you bump up to the Smart plan, either individually or as a group, Cricket throws in unlimited international texting; unlimited talk and texting to and from the U.S., Canada and Mexico; and no-extra-charge data in Canada and Mexico. Cricket has also introduced something called Stream More, which streams “certain higher-definition video content” at SD (rather than HD) quality, the idea being to stretch your high-speed data allotment. However, the company notes that not all content providers are participating in this option, and there’s no way to know when Stream More is actually active (unless you can tell the difference between SD and HD video on a small screen). Cricket owner AT&T offers a virtually identical option called Stream Saver. Born more than two decades ago and scooped up by T-Mobile in 2014, MetroPCS feels a bit like “T-Mobile Lite,” with less expensive plans but fewer of the perks afforded by its parent. Service starts at $30 per month for 2GB of 4G LTE data, jumps to $40 for 3GB and $50 for unlimited data. Additional lines (up to five total) bring additional discounts; you’d pay $125 per month for a family of five on the 2GB plan, or $200 on the unlimited plan. However, don’t expect anything like T-Mobile’s freebie Tuesdays (which provide weekly helpings of things like donuts and movie rentals), free Gogo inflight Wi-Fi, or unlimited video and music streaming. All MetroPCS plans do include Data Maximizer, which works much like Cricket’s Stream More to help stretch your video viewing time, but you’re on your own when it comes to music. What’s more, here's proof-positive you should always read the fine print: Although the $30, $40 and $60 plans include mobile-hotspot support, the $50 plan does not. According to a company rep, that’s a “time-limited promotional plan for people who want unlimited data.” Still doesn’t make sense, though. Virgin Mobile remains an outlier among the Little Four, refusing to let customers bring their own phones. That’s too bad, because the carrier’s Data Love and Data Love+ plans are two of the most competitive in the business: $35 and $45 per month, respectively, for 5GB and 10GB of 4G LTE data. (Calls and texts are unlimited.) Those prices also include the same unlimited music streaming offered by Boost, though you’ll pay extra for hotspot capabilities. If you’re in the market for a new phone anyway, Virgin carries everything from entry-level to top-tier models. The company frequently offers sale prices, and if you buy an iPhone and sign up for auto-pay, you’ll save $5 per month on your service plan. That would bring the 5GB plan down to $30 per month, making Virgin the deal to beat among not only Little Four carriers, but most other carriers as well. Once you move beyond the Little Four, you’ll find more and different kinds of options. There’s Mint SIM, for example, which offers some of the best rates around -- provided you’re willing to pay for a year up-front. CellNuvo joins FreedomPop in offering free basic service, and Google’s Project Fi is now available to anyone with a compatible phone, though it’s not necessarily the best value of the bunch. Let’s take a look at some of the more notable MVNOs and how they compare with their bigger brethren. Taking a page from FreedomPop (but hopefully not RingPlus -- see sidebar), newcomer CellNuvo (which launched nationally in 2015) promises totally free cell service -- well, free after the $29 activation fee, which applies whether you bring your own phone or buy one from the company. The latter option consists mostly of entry-level and refurbished models, many priced under $100. CellNuvo offers two plans: Infinite (free) and Flex ($19 per month). Both operate on a somewhat confusing system of credits called Silver, which you use like currency for calls, text messages and data. It costs 20 Silver for one minute of voice, 3 Silver for a text message and 20 for 1MB of data. The Infinite plan affords 3,000 Silver upon activation, but that’s it -- from there, you’ll have earn or pay for more. Earn? Within the CellNuvo app, you can obtain more Silver by completing surveys, viewing ads and so on. If that seems like too much work, or you’d prefer to start each month with a Silver stipend, the Flex plan gives you 18,000 credits monthly (still with the option of earning more). That’s equal to 900MB of data -- not a lot. Needless to say, this isn’t the carrier for heavy users, but it might be a good option for keeping service on a backup phone. For the moment, however, compatibility is limited to Android CDMA models. The company plans to add both iPhone and GSM support in the near future. Popular with the AARP crowd (which is eligible for added discounts), Consumer Cellular takes a decidedly senior-friendly approach to phones and service plans. Phone choices are limited (but include desirable models like the iPhone 7 and Motorola Moto G4 Play), and plan options are available to suit nearly any budget. The company also offers free SIM cards (in all sizes) for use with any AT&T- or T-Mobile-compatible unlocked phone. Consumer Cellular's voice plans start at $10 monthly (which includes only pay-as-you-go voice minutes), while data options start at just $2.50 (for 300 texts and 30MB of data). In the interest of keeping things simple for seniors, there's no mention of techie specs like data speeds -- though a rep confirmed that 4G-capable phones will get 4G service. Consequently, this could be an attractive option for users who spend most of their time connected to Wi-Fi or who simply don't make a lot of calls. FreedomPop's claim to fame: free service. Whether you bring your own phone or buy a refurbished Galaxy S7 or new Motorola Moto E ($450 and $130, respectively), you'll get a monthly stipend of sorts: 200 voice minutes, 500 text messages and 500MB of data. If you hit those caps, extra data runs 2.5 cents per megabyte and a penny per voice minute or text message -- competitive rates all around. Is it really possible to get cell service for free? Consider this: Our mobile plan roundup from last year included newcomer RingPlus, a Sprint-based MVNO offering lots of free minutes, messages and data. Initially, the only “cost” was to listen an ad or a snippet of music when placing on outgoing call. Later, you had to pay a one-time membership fee to sign up for any of the company’s better free plans, but the math still came out very much in your favor. Or it would have, had RingPlus not pulled the plug back in February. Owing to an undisclosed dispute with its parent carrier, the company gave subscribers just one week to find a new service provider. That was eventually extended by a couple weeks, following a migration arrangement with Ting. That arrangement included a $35 Ting credit, but service after that definitely would not be free. Moral of the story: You can’t get something for nothing, at least not cell service. Although FreedomPop has long offered a totally free plan, it comes with precious little data -- nowhere near enough for the average user. There are also monthly and annual plans for users who want unlimited calling and messaging along with more data, and the company recently rolled out family plans with an advertised price of $5 per line and “up to” 25GB of shared data. But FreedomPop has an almost user-hostile website: It provides no information about phones, plans or coverage unless you first enter a ZIP code and email address, and even then, it's extremely difficult to browse the available options. (Good luck actually signing up for any of the aforementioned family plans.) In addition, its phone service relies heavily on Voice-over-IP rather than cell towers, often with mixed voice-quality results. Assuming you bring your own device, however, you have little to lose (save for a $10 number-porting fee) by at least trying the service. And if you're a fairly light consumer of voice minutes and data, this could prove an unbeatable deal. Ultra Mobile spinoff Mint SIM takes the concept of “prepaid” to a whole new level. Although you can pay fairly standard monthly rates, discounts start piling up if you’re willing to prepay for 3, 6 or even 12 months. For example, the carrier’s Medium plan -- unlimited everything, 5GB of 4G LTE data -- costs $50 per month. But pay for three months in advance and it’ll cost you $99, an effective rate of $33 per month. Pay for six months and that effective rate drops to $28.17. At 12 months: Just $24.92, a full $5 less than what Virgin charges for its 5GB plan. Mint SIM also has Small and Large options with 2GB and 10GB, the latter especially competitive at $33.25 per month (again, the effective rate). No other carrier comes close to offering that much data at that price. Of course, you have to be willing to bite the bullet and pay it all in advance. Now for the bad news: The carrier offers no family plans, and a traditional mobile hotspot feature is available only for Android users. (iPhone owners are limited to one device at a time, tethered via Bluetooth, not Wi-Fi.) What’s more, if you decide to cancel for some reason, you can’t get a refund, pro-rated or otherwise. So while you’re not under contract, per se, you’ll almost certainly want to stick with Mint SIM for the duration of your prepaid plan. You've heard of hi-fi and Wi-Fi, but Project Fi? That's what Google calls its entry into the carrier space, though don't expect the Big Four to become the Big Five. Instead, Project Fi utilizes Sprint, T-Mobile and U.S. Cellular networks, with a special SIM card toggling your phone between them on the fly. Why three networks? Simple: Three are better than one. Google aims to provide unparalleled coverage by tapping whichever carrier has the strongest signal wherever you happen to be. Meanwhile, Project Fi phones take a page from Republic Wireless by leveraging Wi-Fi networks whenever possible. And not just any Wi-Fi networks, only those Google has verified as "fast and reliable," the idea being to deliver better-than-average voice-over-IP call quality. Although Project Fi is no longer a by-invitation-only service, it’s still compatible with just four smartphones, all of them Google models: the Nexus 5X, Nexus 6, Nexus 6P and Pixel. Even if you own one of them (or plan to buy one), you can get more data for less money from another carrier. Years ago, Republic Wireless made headlines for offering low-cost service powered by Wi-Fi: Whenever possible, calls would tap free networks rather than expensive cell towers. However, you couldn’t bring your own phone, and the carrier’s model selection was severely limited. Things have changed considerably. Republic now sells and supports nearly a dozen phones (Android only), including current ones like the Samsung Galaxy S7 Edge. Even more surprising, you can now bring your own phone, provided it’s one of the 17 compatible models (still no iPhones, though, alas). And Republic is no longer just a Sprint MVNO; it now supports GSM phones via T-Mobile as well. Those are welcome developments, but unfortunately the carrier is no longer a price leader -- not even close. For example, its $30 plan includes unlimited voice minutes and text messages, but only 2GB of data. That’s a competitive rate, but far from a stellar one -- and you still have to contend with the inconsistent call quality afforded by Wi-Fi, which is the default backbone for phone service, plus potentially problematic handoffs if you move between a Wi-Fi network and cell tower while on a call. Once upon a time, those might have been worthwhile hassles given the savings, but now it’s hard to argue in favor of this option. Originally a CDMA-only network limited to owners of post-contract Sprint phones, Ting now supports GSM handsets (via T-Mobile) as well. More important, it continues to be the only carrier that’s truly consumption-driven, billing you based on whatever tiers your monthly voice, messaging and data usage fall into. That’s a great option for folks whose usage varies a lot from one month to the next -- but mostly for folks who have modest data needs. For example, if you have just a single line (additional lines cost $6 each) and use fewer than 500 voice minutes, 1,000 text messages and 2GB of data in a given month, your bill will be $40. For that same amount, you could get unlimited everything -- and more high-speed data -- from any number of other carriers. That said, Ting claims that the average monthly bill for its customers is just $23, so if you’re average as well, you can enjoy very affordable cell service. Ting also offers an excellent online dashboard that lets you monitor usage and quickly make changes to device and plan settings, and it continues to earn high marks for offering excellent customer service. You can bring your own device to the carrier or buy a new one; the company recently expanded its handset offerings to include new, unlocked iPhones. If you’re looking for a new phone to go with your new carrier, ask yourself whether you really need the latest and greatest from Apple, Google or Samsung. Because while those premium models are nice, their sky-high prices definitely aren’t. But what’s the alternative? Unless you spend at least $600, you’re going to end up with a slow, small and/or feature-limited phone with an outdated operating system. Right? That might have been the case at one time, but no more. Today you can get some pretty amazing phones for a lot less than you’d expect. And the discounted price doesn’t mean signing up for an oppressive two-year contract; these are unlocked models that you own outright the moment the shrink-wrap comes off. Here are five that offer considerable bang for the buck. Apple iPhone SE ($399 from Apple): Apple’s entry-level iPhone feels a little old-fashioned with its 4-inch screen, but the innards are decidedly modern: It’s got all the horsepower of an iPhone 6S. Plus, the starter SKU comes with 32GB of storage instead of 16GB, so you’re not quite so capacity-strapped right out of the box. You can buy the SE unlocked, then take it to any major U.S. carrier. Asus ZenFone 3 Zoom ($329 from Asus; $329 from Amazon): With its sleek metal body and impressive feature set, the ZenFone 3 Zoom could easily be mistaken for a phone costing twice as much. Here you’ll find not only a 5.5-inch AMOLED screen clad in Gorilla Glass, but also perks like dual rear cameras, a fingerprint sensor, a USB-C charging port and a huge 5,000mAh battery. This last delivers best-in-class runtime, great if you’re sick of phones that can’t last a full day away from a wall outlet. Currently, however, the Zoom runs only Android 6.0 (Marshmallow), and that’s with a custom Asus skin on top. Blu R1 HD ($110 from Amazon; $60 for Amazon Prime Exclusive model): Available exclusively on Amazon and compatible only with GSM carriers, the Blu R1 HD costs a mere $60 for Amazon Prime subscribers -- a price that suggests a lot of compromises. But you get a 5-inch HD screen, 16GB of storage, 2GB of RAM, a microSD slot, dual SIM slots (great if you travel internationally) and a couple low-resolution, but decent, cameras. If there’s a catch, it’s that you’re saddled with Amazon’s Special Offers lockscreen. Motorola Moto G5 Plus ($230 from Motorola; $230 from Amazon; $185 for Amazon Prime Exclusive model): Motorola’s latest unlocked phone also works on all major U.S. carriers. It’s modeled in metal, not plastic, and offers better battery life, performance and camera quality than last year’s Moto G4. Plus, it runs the latest version of Android (Nougat), which is stock, not skinned. If you’re an Amazon Prime subscriber, you can buy a special lockscreen-enhanced version (read: ads) for $185, making this arguably the best unlocked smartphone for less than $200. ZTE Max XL ($130 from Boost Mobile): An Android 7.1 plus-sized phone for $130? Actually, at press time, the ZTE Max XL was on sale for just $100, which seems kind of impossible given its 6-inch, 1920 x 1080-pixel display, USB-C port (very uncommon at this price) and microSD expansion slot. The Max XL also leverages Sprint’s new LTE Plus network (where available), meaning it might actually deliver better connectivity speeds than much pricier models. Unfortunately, for the moment the phone is available only from Boost Mobile, but it's worth checking with the carrier to see what your unlock options are should you decide to take it elsewhere.